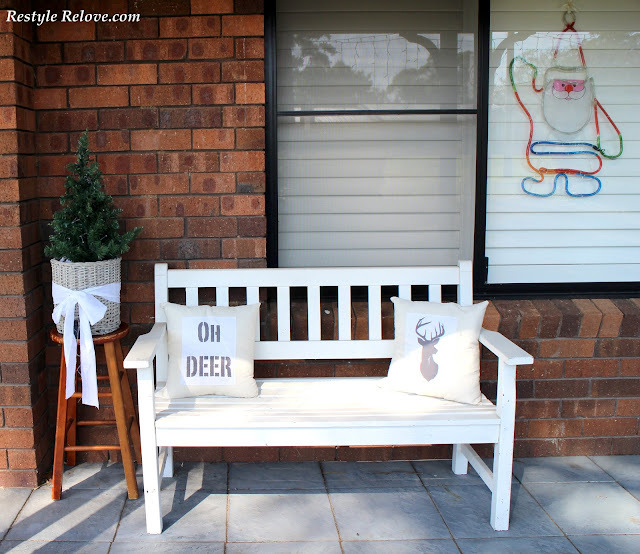 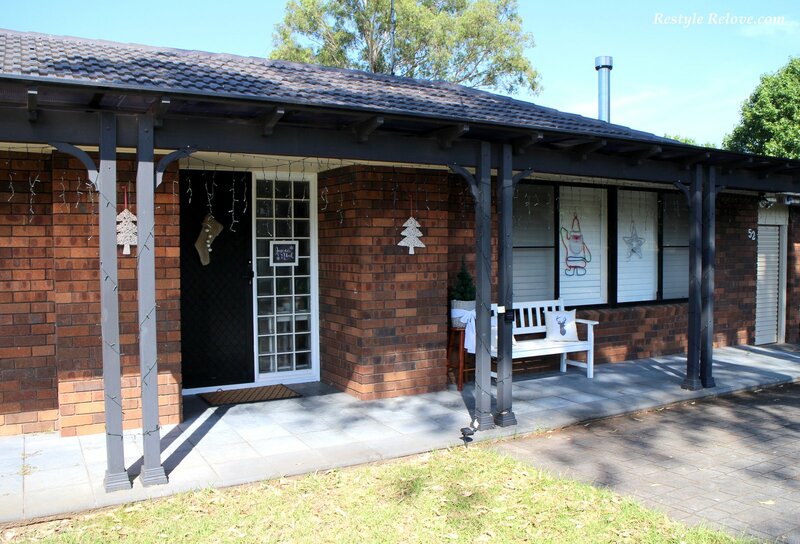 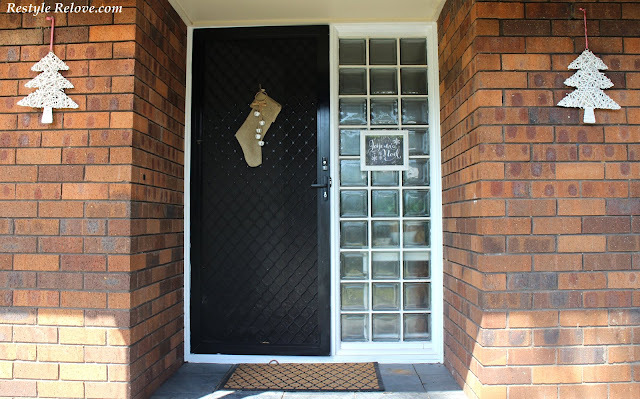 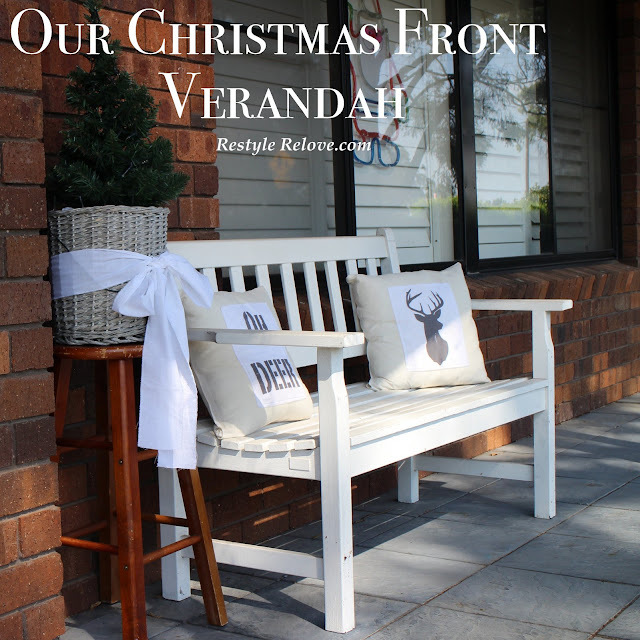 I wasn't planning on decorating the front verandah, so I kept it quite simple. 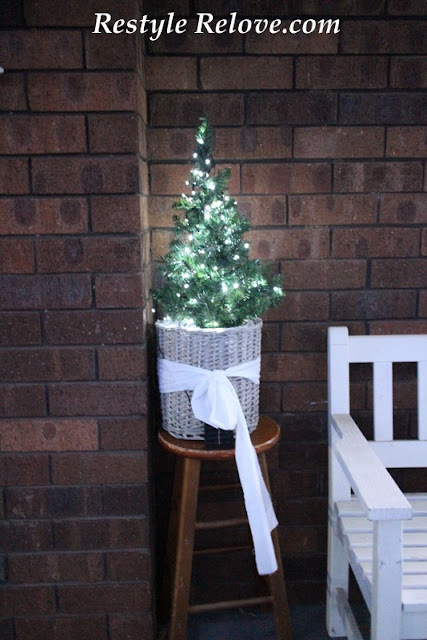 I purchased a small green tree and placed it in a basket. 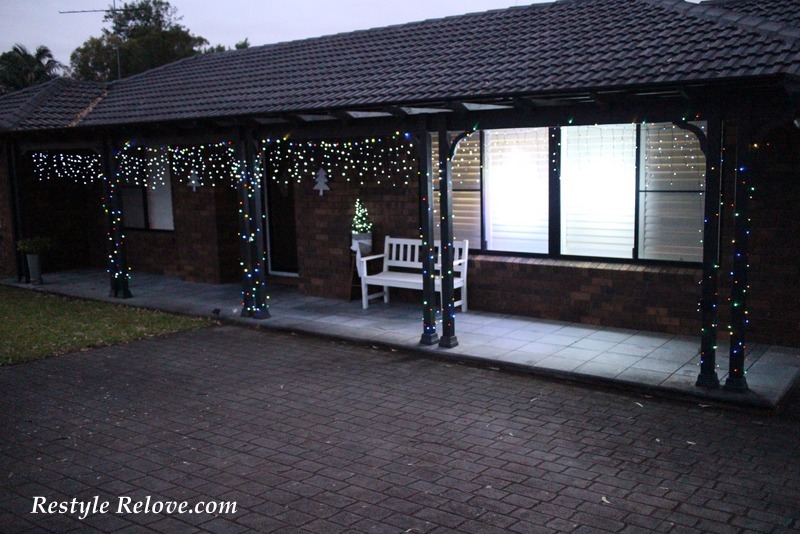 Then decorated it with solar fairy lights and a big white bow. 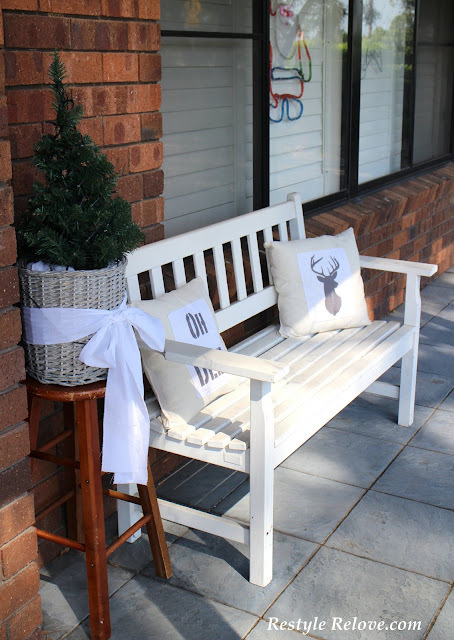 I placed it on a stool next to our bench seat. Along with my Oh Deer cushions. 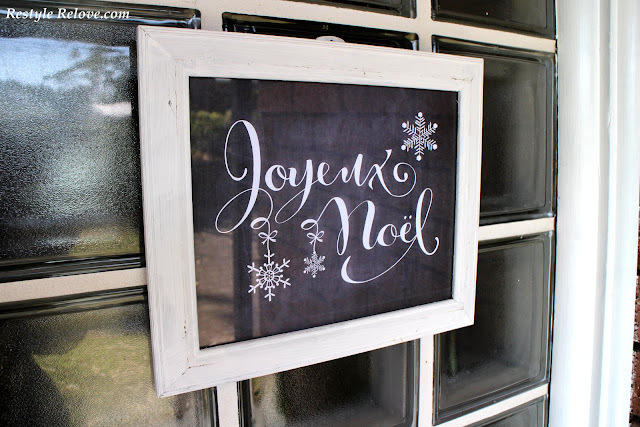 I printed up this cute chalkboard Christmas sign. 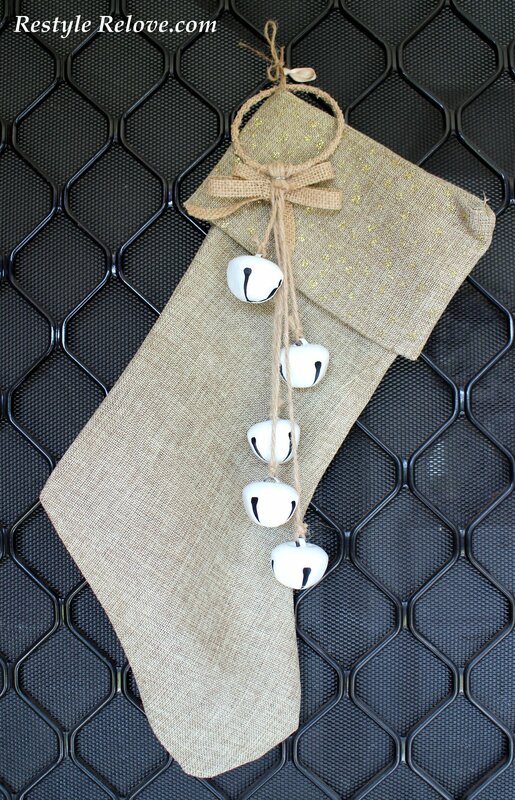 On the door I hung a gold Christmas stocking, together with a some white bells. 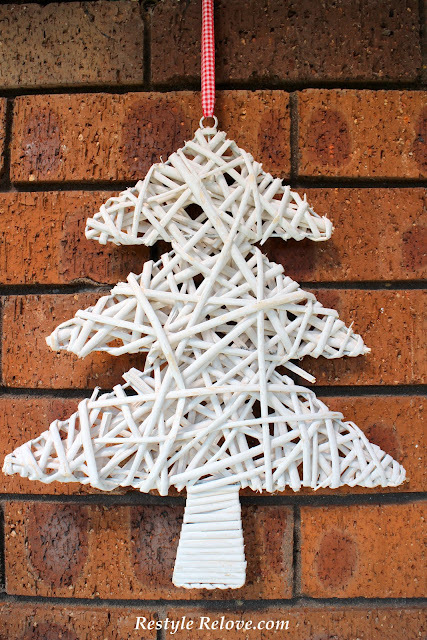 I also found these cute white cane Christmas trees. 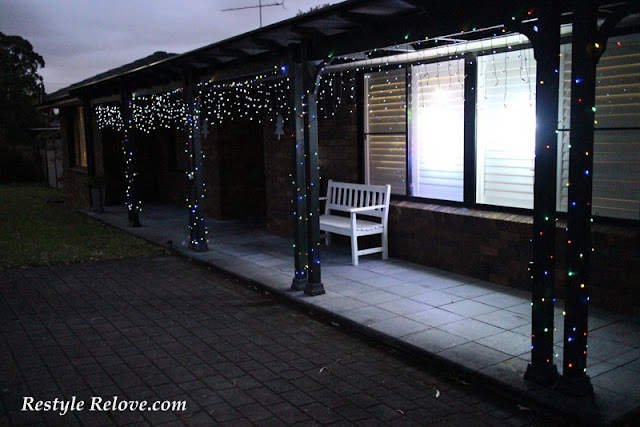 And at night I hung solar fairy lights along the verandah and around the poles. The camera didn't pick up the window lights, but they are of a Santa and a star. 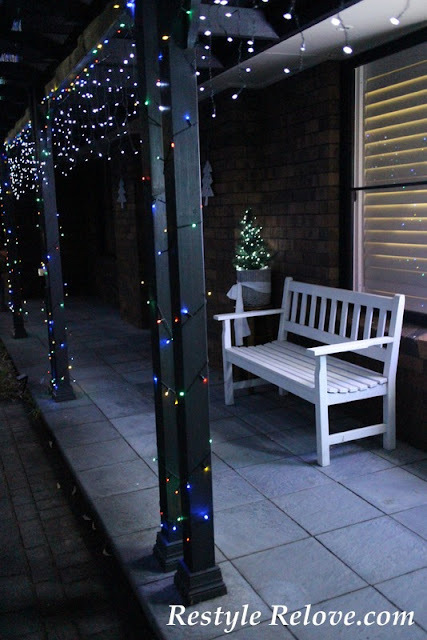 And my little basket Christmas tree all lit up. Very sweet and pretty with the lights at night. Have a great week.